The Old Spanish Trail Arena is located at 3641 S. Hwy 191, Moab. 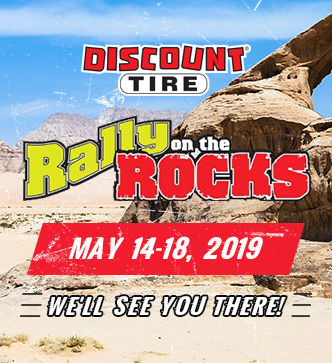 Register online today to reserve your spot for the 2019 Rally on the Rocks. You really don't want to miss it! If you are bringing more than one machine, please let us know here. This is so we can accurately limit the trail numbers for the BLM. Guided trail rides are now charged on a per person/per day basis. Children 11 and under are free. Please list the names and ages of each child. one name per line or separate each name with a comma. 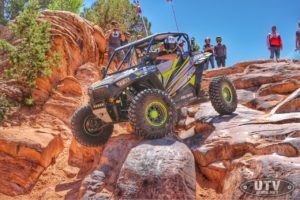 Choose the trails you would like to attend at the rally for each day. Be sure to check the description on the right (hover over the trail names) to be sure your machine meets the required specs. To see a complete list of trail descriptions and their difficulty ratings click here. T=Trailer required to get to trail head. All trail selections this year are FINAL. There will be NO trail changing this year. Please list someone not at the Rally. All Rules & Regulations can be found by selecting the info tab at the top of any page. DTROTR has a “no refund” policy. In addition to online registration, we’ll also be taking walk up registrations at the arena subject to availability. If you aren’t sure who all your passengers are yet we can easily take care of that upon check-in, as long as you have you and your machine registered for the trails you want. Our BLM permit limits the number of cars not people. Be sure and join our newsletter to keep informed about registration and everything else Discount Tire ROTR! Just enter your name and email at the newsletter form on the bottom right of every page.